A farm is a noisy place to be at bedtime. All those animals make LOTS of noise. How will Farmer Hayden ever manage to get to sleep? Well known for her best-selling rural romances, Fleur McDonald brings a rural setting to a younger audience with Noisy Nights, a delightful story about a sleepy farmer and the noisy animals that keep him awake. Annie White’s gorgeous illustrations set the bedtime story mood perfectly. 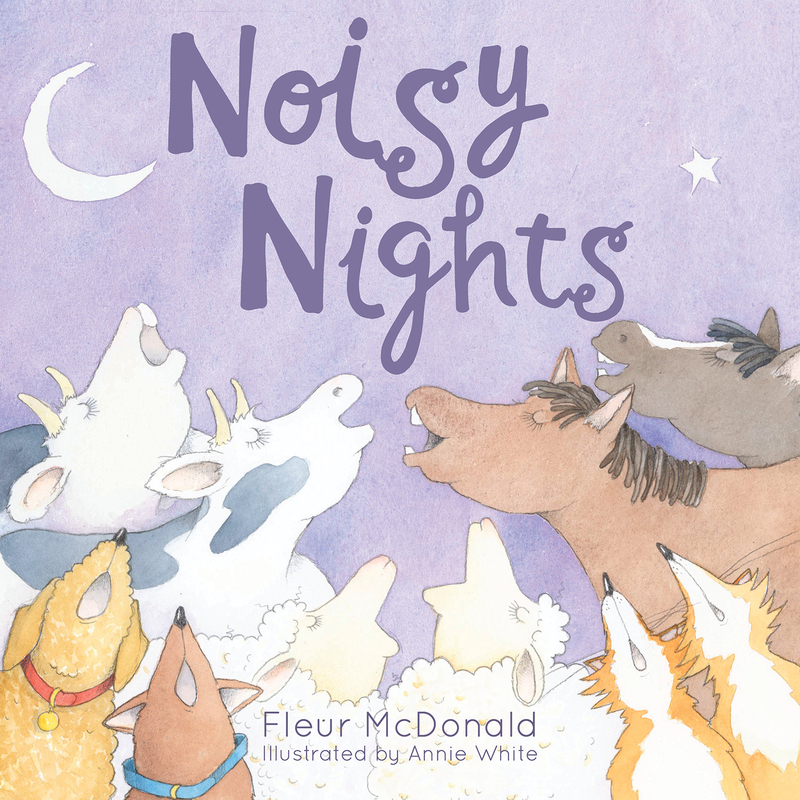 Combined with the fun story and unexpected solution to Farmer Hayden’s problem, Noisy Nights is sure to be a regular bedtime request for toddlers and preschoolers.